India succumbed to a 60-run defeat in the fourth Test at Southampton to hand England an unassailable 3-1 lead in the five-match series, with one game to go at The Oval. Chasing 245 for a win, after England were dismissed for 271 at the start of the day, India were reduced to 22 for 3 by Stuart Broad and James Anderson, before Virat Kohli and Ajinkya Rahane stitched together a 101 run stand to bring their side back into the game. But at that point, Moeen Ali got one to grip and an inside-edge catch lobbed to Alastair Cook at short-leg sent Kohli on his way and his dismissal proved to be the death knell for the Indians, as the rest failed to stand up and be counted when it mattered the most. Here are the five talking points from the day's play. 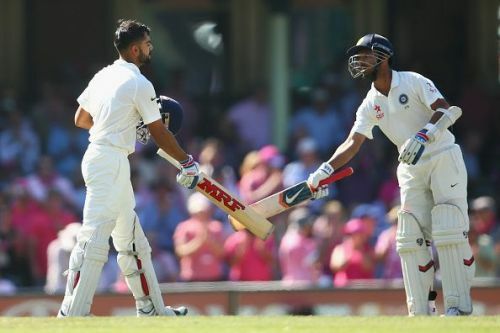 India may have lost the game, but in Virat Kohli and Ajinkya Rahane, they did find a pair who was willing to grind it out, take it forward on a per-over basis and frustrate the English bowlers. Their stand of 101 runs had a lot of singles and several overs of blocking, but what it showed was here were two Indian batsmen, who were willing to play the situation. There was an enormous amount of time left in the game and understanding that they pushed the scoring forward before Kohli fell to Moeen Ali.